Below is a list of different potential teams that you can use for a YOLO raid run. Please note that this does not mean there are no other YOLO teams, as there are many other combinations that can work. However this should give you a solid idea as to how to build a Speed team. Another option for YOLO teams when players start to farm tolerance runes, is to use ATK leader over Resistance Leader. This opens up a lot more possibilities as you can get rid of Dias / Tesarion / Praha and use another damage dealer such as Fei or Ardella. 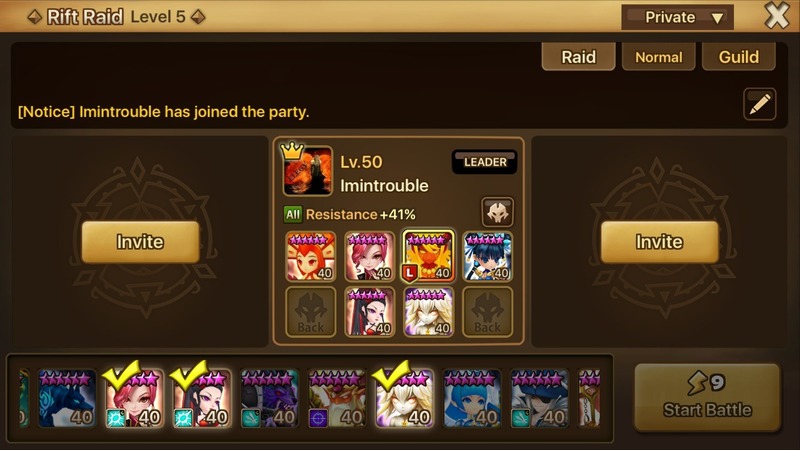 When you want to test how fast you can conquer the Raid Boss, teams will tend to move to a single healer setup. The use of Dias and Darion are really important, as you are highly dependent on them and Colleen to keep you alive. Otherwise you need to build your teams really tanky to survive. Not everyone has Dias however, so when running a resistance leader, some people will use Tesarion to provide even more damage. For YOLO teams, the person who gets to run CR has the clear advantage. Since your flex spot is a core unit, you can mix and match your team with high success. 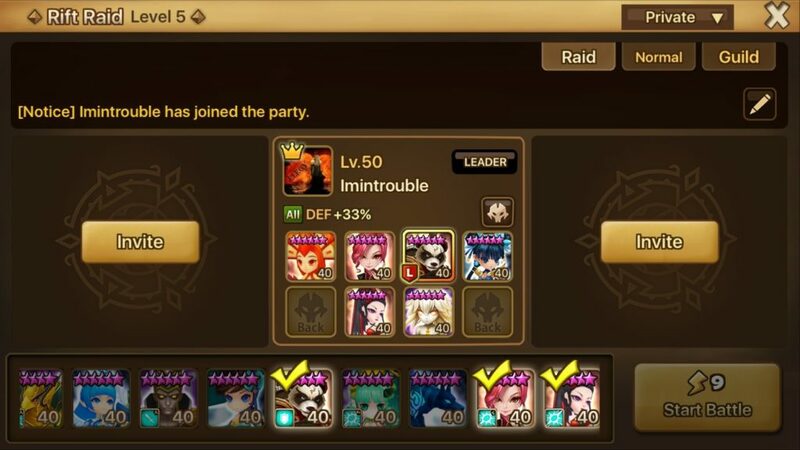 For the team in the picture above, the use of darion is really beneficial to the team, as you need enough defense break to ensure that your Water Kung Fu Girl can smack the raid boss for huge numbers. Teams that are stuck with a defense leader usually have the “short stick” as they are not able to use Darion or Dias to survive. 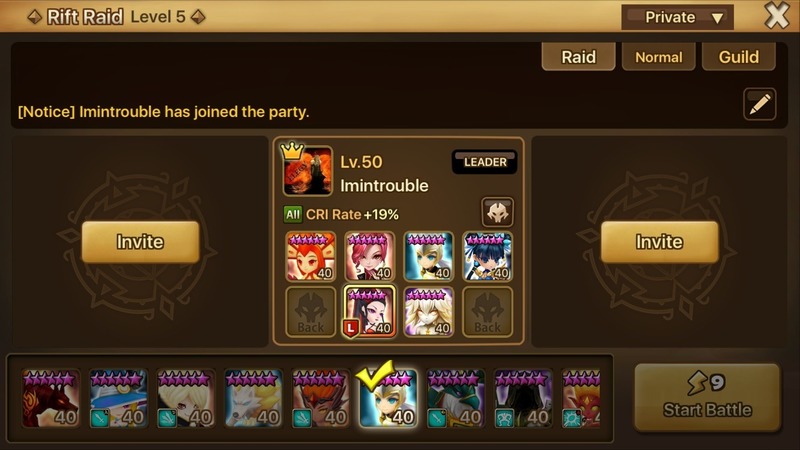 Fortunately the Fire Panda has a small heal over time skill which will help your team survive, but since the raid boss removes buffs constantly, it does not always provide the full heal. YOLO: an abbreviation for You Only Live Once. However, don’t get me wrong. I like your site – great site and great articles. Loads of inspiration which I’ve used a lot. It must be a hard work keeping it updated! Great work! I’m pretty sure the person who did this guide (Back in January this year) is no longer working with us, so I don’t feel like I have the right to make any changes to the guide above. Maybe in the future I’ll do a rework, but unfortunately this isn’t in any priority right now.